Wake and Bake Ultimate Tips To Boost Your Experience! Thousands of marijuana lovers enjoy a good wake and bake weed in the morning. In fact, it’s a daily routine of many stoners all over the world. For some people, wake and bake are associated with the first joint after waking up, while others say it’s anytime within a few hours after opening your eyes in the morning. Now, some people claim lighting up a joint first thing in the morning leaves them tired and lazy for the rest of the day. However, there are some tips you can incorporate into your wake and bake routine to start your day with tons of energy and a positive attitude. Many stoners wonder about the science behind sparking up a joint in the morning the potential benefits of their wake and bake ritual. Here is everything you need to know about wake and bake. Although the science behind cannabis is a catchy topic these days, we still don’t know much about the chemical process behind wake and bake. When you wake up, your brain needs some time before it starts working at its full capacity. Thus, using marijuana in the morning may give a more powerful effect, but it’s actually just an illusion. Weed can give you a more intense high in the morning because your body lacks certain nutrients after a whole night. With your stomach empty, eyes half-closed, it might be much easier to get high faster and stronger. Although the exact reason behind the power of wake and bake still remains behind the fog, the possible link between the intense effects of pot at this time of the day is logically explainable. But hey, there are several options to make your next wake n’ bake even better. 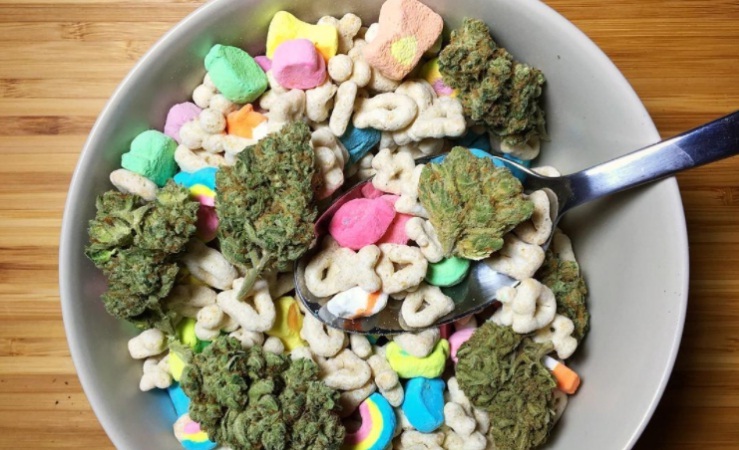 Many people claim there is no such thing as wake and bake after eating a breakfast, as it’s better to enjoy a decent meal after having a morning weed session. However, both your mind and body need nutrients to function properly all day long. That being said, it’s wise to consume, at least, a small portion of nutritious food and drink a cup of water before smoking your first joint in the morning. Still, many people prefer to smoke before breakfast, as they can actually eat more afterward. If this is the case, enjoy your morning session first, but keep in mind to eat a proper meal right after the wake and bake to prepare for your daily activities. When it comes to the science behind wake and bake, the key is to know the difference between various consumption methods. In terms of using weed in the morning, most people recommend vaporizing pot, as it allows you to control the intensity of the high by keeping the size of your hits in moderation. What if you don’t feel like vaping or smoking right after you crawl out of bed? Consider eating low-THC edibles to get a nice, energizing high in the morning. Don’t feel like using weed in the morning at all, but still want to benefit from its relaxing properties? No worries, there is a wide range of CBD-infused products available on the market, which is relaxing but non-intoxicating. These products can also provide pain relief and even more health and wellness benefits, but without making you “high”. Like we said, some people claim marijuana makes them feel lazy in the morning. This may be caused by the fact that they don’t choose their strains carefully. If you don’t want to get couch-locked for the rest of the day, it’s best to stay away from indica varieties of cannabis because they tend to be sedative, making a person lethargic and drowsy. Instead, pick a pure sativa or a sativa-dominant hybrid. Sativas are ideal to use in the morning, as they provide a nice energy boost and clear, cerebral buzz. We already know marijuana has lots of health and wellness benefits, and it’s invaluable in terms of fighting any kind of inflammation or pain. Therefore, using weed in the morning may be a perfect way to alleviate some medical conditions, such as fibromyalgia, migraines or digestive issues. In addition, cannabis has anti-anxiety properties, and it has been shown to help treat depression. By waking and baking, you instantly bring up the good vibes and make the bad mood disappear once THC enters your lungs. And finally, given the sharply-focused state of mind provided by sativa strains, weed can make a good companion for your morning chores. Marijuana comes with positive effects on both your body and brain and using it in the morning may be actually a great way to start your day with positive energy. Whether you’re looking for a delicate and smooth buzz, or a more intense morning experience, starting your day with a joint or a weed brownie may come in handy! How do you celebrate your wake and bake? Do you have any favorite morning strains? Let us know below in the comments! Start your wake and bake session with the best stains at Ganja Group. Place your orders now!